Kelley Nature Preserve is a little farther out, but it is well worth the drive. Located at 297 Center St. (St. Rt. 126), Loveland, OH, north of Milford, right outside the charming town of Miamiville, it is close enough to be convenient and far enough to feel like you are in the country. We walked on Saturday, April 23, 2016, at 12:45 p.m., the temperature was 65 degrees, and it was sunny with a slight breeze. 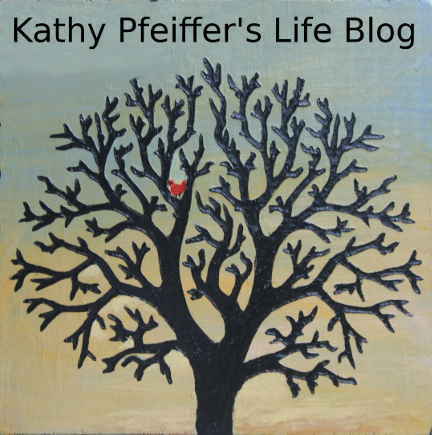 Finding Kelley Nature Preserve was like finding a rare gem. The park is only identified with a small brown sign, and hard to see from the road since the driveway immediately goes down a hill into a hidden parking lot. The parking lot area was surrounded by trees, had a large stone shelter, and dirt trails veering off different sides. There were no information signs, making us feel all the more like we had found a truly natural place to explore. We chose a trail to the right of the shelter, which immersed us into nature immediately. The trails were dirt, (some with gravel,) and narrow, with foliage so close, it brushed against us from time to time. As we walked, we came to forks on the path, and posts with arrows showing the way. All the trails circled around to the parking lot, but we found the path map handy that we printed off from the website. Shelter, just off the parking lot. The trail began flat, as many others we had experienced, but soon turned into something quite special as the scenery and terrain changed. 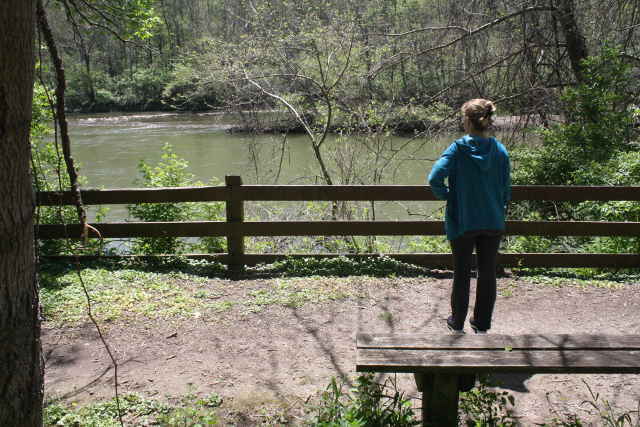 We walked up steep hills, down into majestic valleys, through tunnels where the branches of bushes touched overhead, and down a long stretch beside the Little Miami River, which had several viewing spots with benches, and smaller trails going to the bank of the river. The best part was a surprising meadow we came upon, completely surrounded by trees. It seemed every corner we turned had something different to stimulate our senses. We found our way back to the parking lot, and had walked 1.50 miles. Restrooms: There was one port-a-potty in the parking lot. Traffic Noise: You could hear traffic noise in the distance, but it was over-powered by the lovely sounds of songbirds. 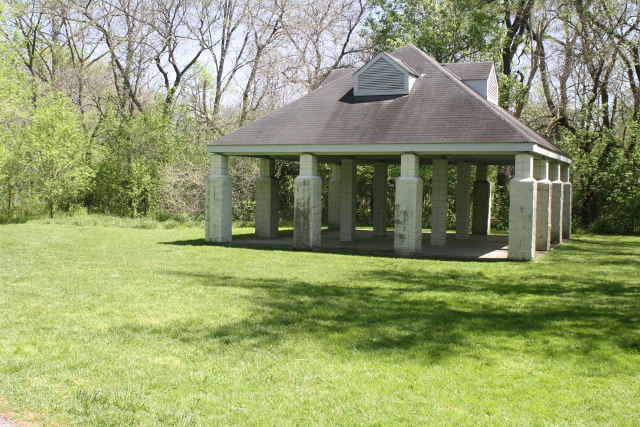 Interesting Features: The stone shelter in the parking lot was in excellent condition, but had no picnic tables, and appeared to be something simply to explore. 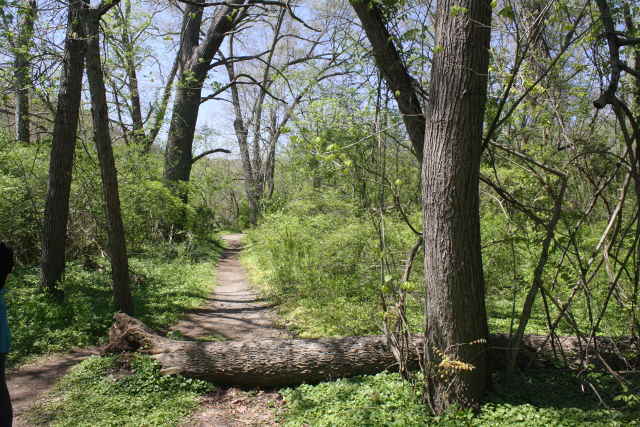 The paths to the Little Miami River were fun, and can be used to launch canoes or kayaks. 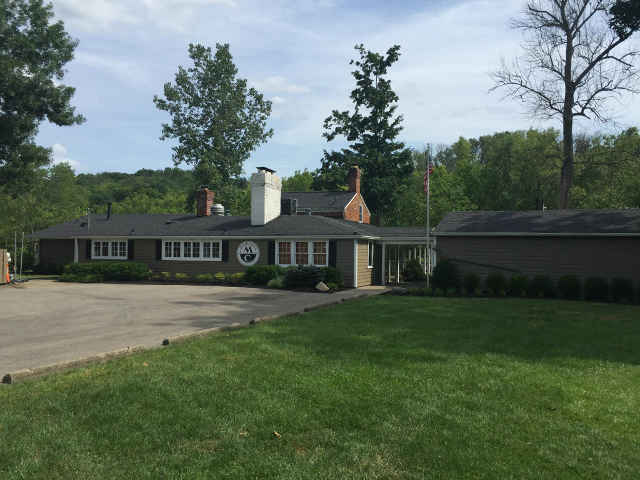 Historic Points Of Interest: Driving around the area, you can’t miss the signs to Camp Dennison, the famous Civil War training camp, but what you might be surprised to find out is that tucked away at 6071 Second Street in Miamiville is the Miami Boat Club, a private yacht club that has a rich history. According to the club’s website, it started as the Island Canoe Club in 1897, and was purchased by members of the Camargo County Club in 1907. It was a “Speakeasy” in the 20’s, to get around prohibition, and became a real Jazz retreat in the 50’s and 60’s when some of the biggest acts in the country, including Frank Sinatra, were brought out for private concerts. 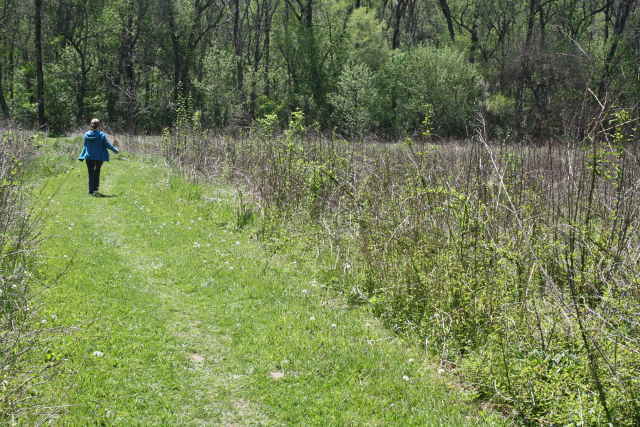 Overall Rating: We gave this nature preserve an excellent rating. It was easy to access, the trails immediately immersed us into nature, were kept up well, fun to walk, and had enough trail room to be able to walk without passing others, so we could enjoy it all to ourselves. Our only concerns were a stretch of trail that had a barbed wire fence that seemed dangerously close to the trail, and we wondered if poison ivy was a problem later in the season with the trail being so narrow and close to vegetation. 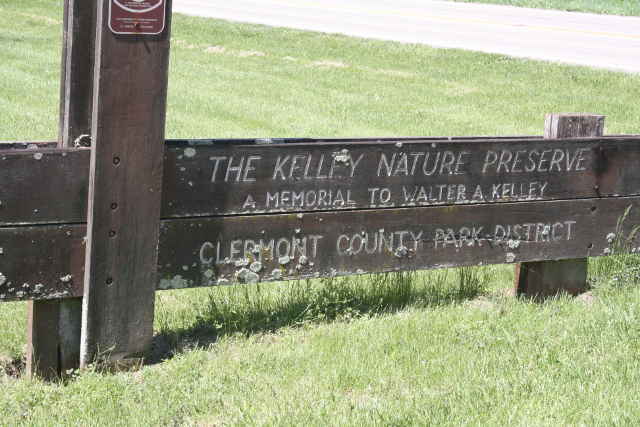 All in all, we were thrilled to find Kelley Nature Preserve, as it sparked our imagination and fed our souls. We couldn’t have asked for more. Sounds wonderful! Interesting history too!